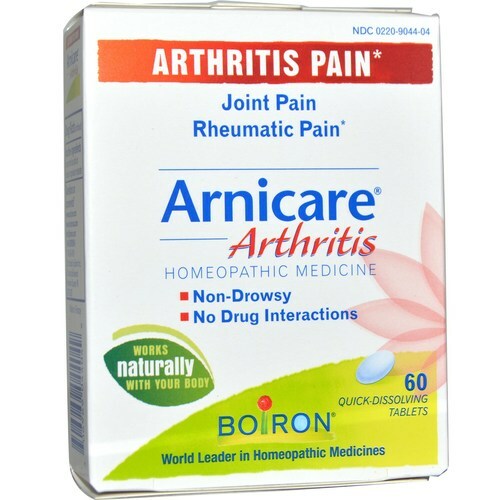 Boiron Arnicare Arthritis is a homeopathic formula with chamomile and other natural ingredients. Warnings: Ask a doctor before use in children under 18 years of age. Stop use and ask a doctor if symptoms persist for more than 7 days or worsen, if new symptoms occur, or if redness or swelling is present because these could be signs of a serious illness. If pregnant or breast-feeding, ask a health professional before use. Keep out of reach of children. Notes: Non-Drowsy. No drug interactions. Homeopathic. Active Ingredients: Arnica montana 3C HPUS, Benzoicum acidum 6C HPUS, Bryonia 6C HPUS, Chamomilla 12C HPUS, Dulcamara 6C HPUS, Kali iodatum 12C HPUS, Pulsatilla 3C HPUS, Rhododendron chrysanthum 12C HPUS, Rhus tox 6C HPUS. 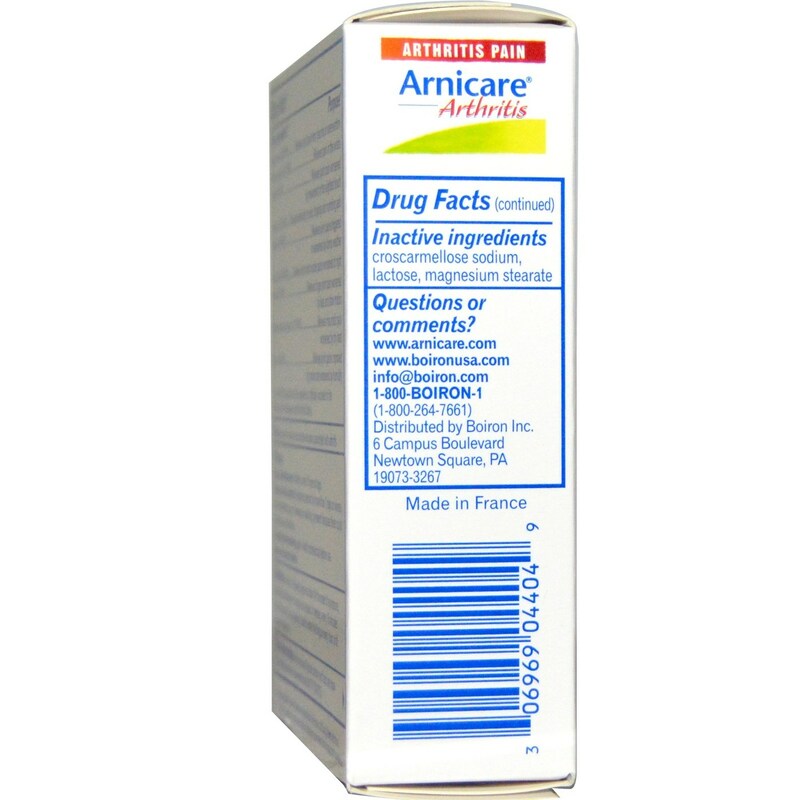 Inactive Ingredients: Croscarmellose sodium, lactose, magnesium stearate. 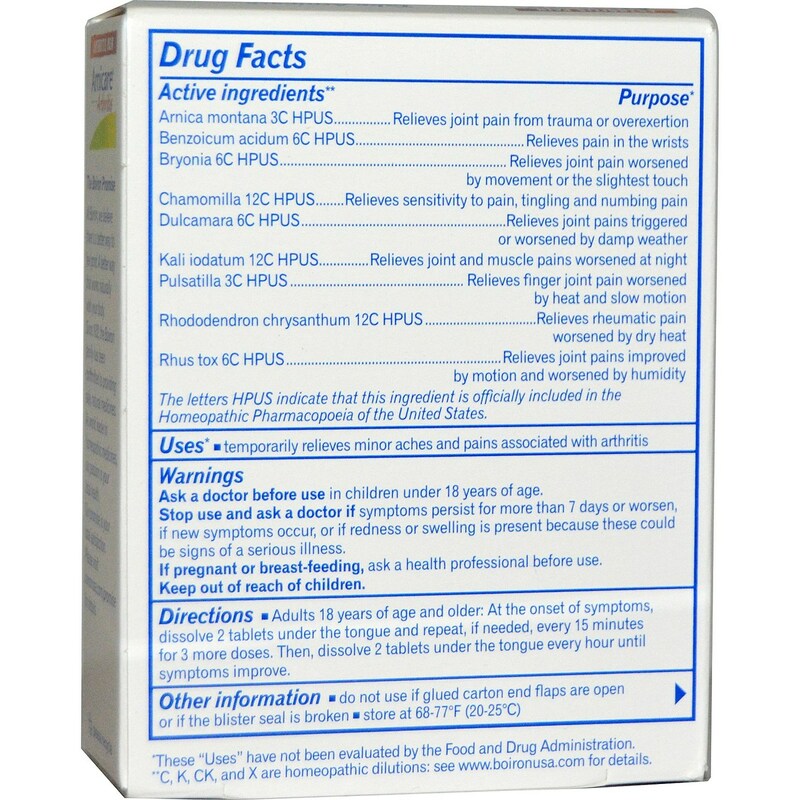 Recommended Use: Adults 18 years of age and older: At the onset of symptoms, dissolve 2 tablets under the tongue and repeat, if needed, every 15 minutes for 3 more doses. Then, dissolve 2 tablets under the tongue every hour until symptoms improve.